Paddy Quinn the director/co-writer/star of High Low Forty talked to queerguru about his story of two estranged brothers who take a road trip to visit their father and try their hand at reconciliation at the same time. It’s quite extraordinary that acclaimed Chilean filmmaker Pablo Larraín known mainly for his generally aggressive dramas interspersed with violence about his own country, should choose such a quintessential American story as Jackie for his first English speaking movie. 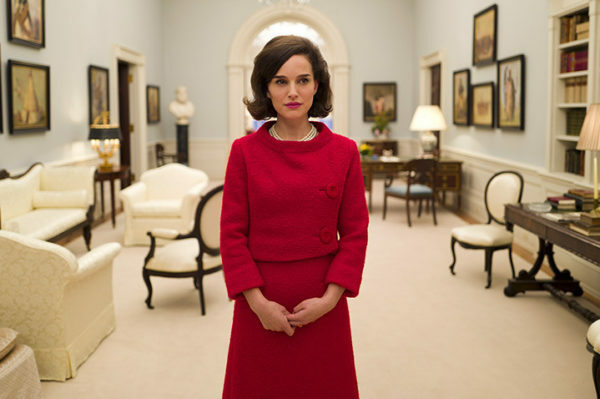 The fact that he succeeds so well with his version of the accounts in the week that immediately followed the tragic assassination of President Kennedy in 1963 as seen through the eyes of his grieving widow is due mainly to Natalie Portman’s powerhouse performance as one of this country’s most iconic First Ladies. queerguru reviews Jackie for P.T.V. as it opens at the Waters Edge Cinema in Provincetown.